Growing up, spareribs and artichokes was a special family meal (this explains a lot, I know). You knew it was a what was in store when extra napkins appeared on the table with no silverware for an evening of finger food. 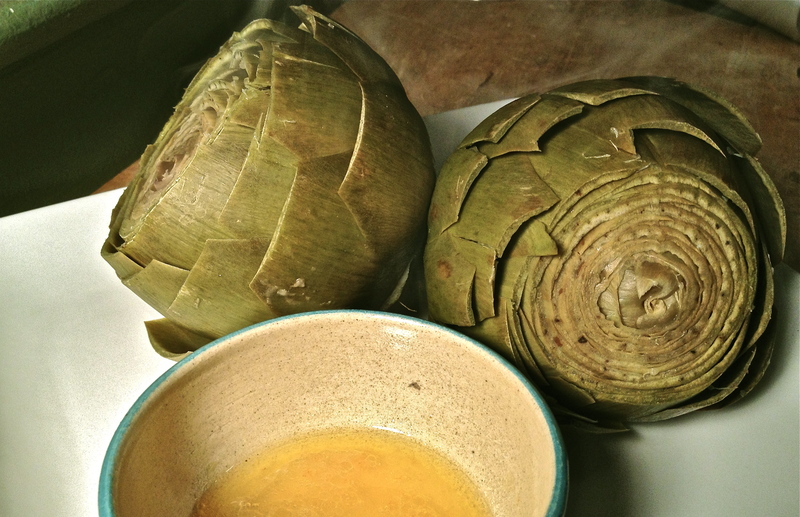 Our teeth scraped the flesh off each artichoke leaf in an effort to reach the center, when Dad would ceremoniously scrape the choke from the base, cut it into an even number of pieces, and toss it into the remaining butter and cider vinegar in the dipping bowl. The meal ended with wonderful piles of bones, sucked clean, and spent artichoke leave. It was a feast. This meal was so special, such an event in our home, that I always wanted it served on my birthday, which is in August. Each year, Mom would remind me that artichokes were only available in spring, and I would be stuck with some less exotic treat like fresh corn on the cob, or the first of Mom’s dill beans (how I suffered). Growing up, produce was seasonal. Asparagus in spring, strawberries for a few short weeks in June, corn appeared in early August. In my teens that started to change. These treats were available year round. Suddenly you could serve asparagus on New Year’s Day and eat “fresh” tomatoes in February. By the time I started cooking seriously, in my early twenties, there were only a few vegetables left, like fiddleheads, to truly mark the arrival of each season. At 30, I moved to Washington, DC and began shopping at Eastern Market, and after a few months realized that my cooking had found a new rhythm. Asparagus appeared in spring with magical, uneven spears, tinged heavily with purple. Six weeks later we enjoyed the last few spears of the season, significantly less tender and sweet, in soup or baked in phyllo with sharp Gruyère. Strawberries came and went quickly. Sour cherries were only available for a week or two – much to the delight of my husband, who lamented pitting them by the pint for pies and sauces. Summer continued with tomatoes and zucchini, the first squash and apples in fall, and late season brassicas: cauliflower, broccoli and Brussels sprouts. 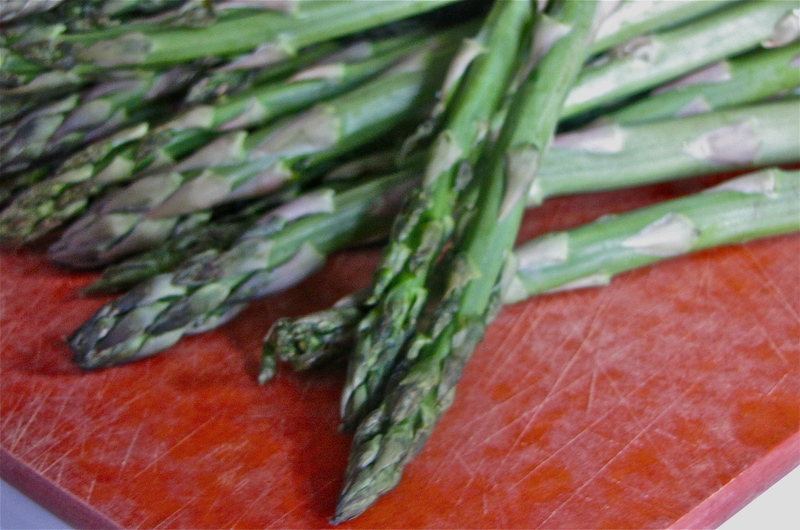 While perpetual abundance is perfect when you desperately need an asparagus fix in the dead of winter, it disrupts the circadian rhythm of our dining table. I have discovered a new joy in waiting for spring’s first scant produce – two to three weeks of spring onions, arugula and radishes. We celebrate the last bowl of asparagus soup on a warm night in May. I marvel each fall when Bob’s vegetable peeler makes short work of the thick skin on a butternut squash. Happy spring! Celebrate the food on your plate. I’ll see you at the Market.